Setting up Baremetrics with Stripe is easy as pie! Click Connect with Stripe and link up your Stripe account. 2. We'll then import your data. 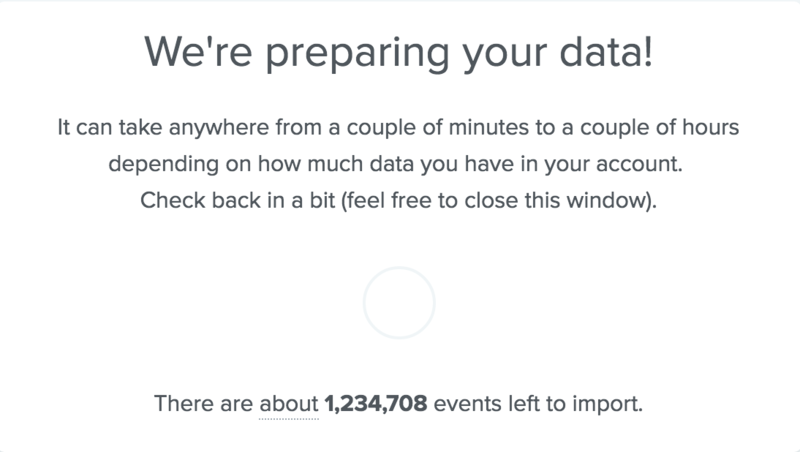 This process can take anywhere from a few minutes to several hours depending on how much data you have and how many imports we're processing at that time. 3. Once your data imports, we have to calculate your metrics! Some metrics may show "0" for anywhere from a few minutes to a few hours depending on how many calculations there are to do. Feel free to shoot us a message if you want to know how your import and calculations are coming along.